Any registered patient who has not been seen by a GP or nurse at the practice in the previous 3 years may be asked to attend for a health check. During this check all appropriate examinations and investigations will be undertaken by a health care professional. Patients aged 75 years and over. Any registered patient 75 years of age or over who has not been seen by a GP or nurse at the practice in the previous 12 months may ask for a health check. During this check all appropriate examinations and investigations will be undertaken by the health care professional. All patients aged between 40y-74 with no long term conditions and not on any medication may ask for NHS Health Check which is undertaken by the HCA and a practice nurse and take 20 minutes. The NHS health check includes a check of your blood pressure, weight, height and Cholesterol with a series of lifestyle question. Appropriate examinations and investigations will be undertaken by a health care professional. The practice undertakes minor surgery to help save long waits for hospital treatment. Suitable procedures include removal of warts, moles, skin lesions etc… Your doctor will be pleased to discuss any enquiry you may have. These clinics are run by a nurse specialist and are by appointment only; the nurse attends the surgery one a week and will review patients 3 monthly, 6 monthly or annually for a routine check. All URGENT appointments for this clinic must be initiated by the doctor. Our Health Visitors run a programme for development checks. Appointments are arranged by the health visitors. Our Health Visitors carry out childhood immunisations. Appointments are sent by post but if you are unable to attend, please telephone to cancel and another appointment will be sent to you. The doctors feel it is particularly important that all children should have their immunisations unless there is good medical reason why they should not be given. If you have any doubts one of the health visitors or doctors will discuss these with you. All doctors cover all aspects of family planning during normal surgery hours. Advice regarding contraception is available with the doctor or practice nurse. Please be aware that you will need to see your doctor every six months to review your prescription for the contraceptive pill. In the early autumn, flu vaccinations are offered to our patients, we strongly advise vaccination for those to be at risk i.e. 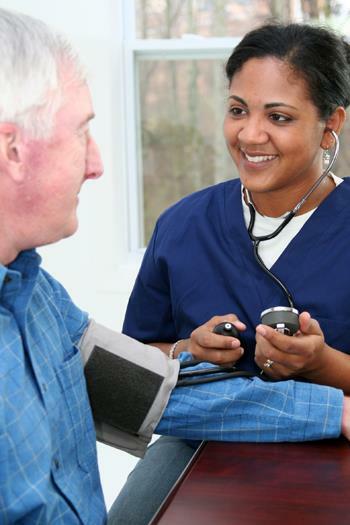 patients aged 65 and over and those with heart disease, asthma or diabetes. The Community Wellbeing Nurse attends the surgery once every other week and appointments are necessary. If you feel you will benefit from this clinic please see your doctor for a referral to be arranged you cannot self-refer to this clinic. 3. Their year of birth. If you have any problems booking online, call the telephone appointment line. Details are on your booking letter.